With a bold appearance and easy-to-operate and easyto-learn features, Shimano offers its proven baitcasting reel quality and dependability in the new Caius left-hand retrieve 201. 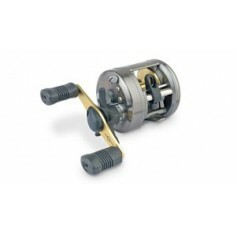 The reel is made for those anglers wanting to step up to the fishing benefits of a low-profile casting reel, and making that entry with Shimano technology. Available in an ‘all-around’ 6.5:1 gear ratio, the Caius has a good speed to work just about any baits, be it jigs and worms in heavy cover, or working lots of water with crankbaits and spinnerbaits. The Caius reel has three Shimano SSS ball bearings to add to smooth performance, and a roller clutch to eliminate any handle backplay. 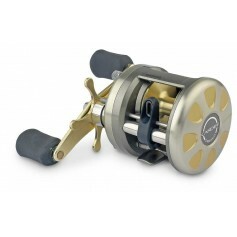 Also featured are a drilled-out handled to reduce weight - the reels weigh 7.2-ounces, a graphite frame and aluminum spool.